Execupundit.com: Suffering Fools Gladly. 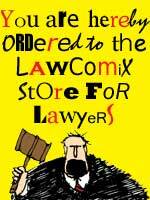 Some lawyers believe that they have to be jerks to succeed. There is a difference between staring down a bully, and being a jerk. Suffering fools gladly on the outside merely means we have developed the skill to look beyond the obvious. Successful lawyers can navigate the reality behind the bluster, and the pain behind the arrogance. So, suffer the fools gladly, and perhaps someone will suffer you when you are being foolish. Execupundit.com: A Lawyer with Style. Thanks to Michael Wade at Execupundit for this nice post. However, just because a lawyer with a parrot reminds you of Long John Silver doesn't create the proximate causation nexus required to make me a pirate. LOL. Is This The FutureLawyer's Next Smartphone? Old School Smartphone [Humorous Image] - How-To Geek. It makes calls, takes photos, has built in flash, and is powered by a hand crank. What's not to like? Would You Rather Buy A Tablet Or A Phablet? Samsung Galaxy Note 2 vs Nexus 7. In the great pantheon of no brainer questions, this has to rank in the top ten. At least when asked of the FutureLawyer, that is. In the immortal words of Deion Sanders, when asked whether he would play professional baseball or football, I say BOTH! The more I use and work with modern mobile technology, the more I realize that my Holy Grail search for the perfect device is an impossible task. It's about the journey, not the destination. There has been an inexorable shift to making mobile devices as large as possible without making them unwieldy. The shift to thinner, lighter devices has made screen size the one thing that can be made larger without making the devices less mobile ready. So, each person will have a point beyond which they don't want to carry a device. I think the 7 inch tablets is the form that I prefer for carrying around, and eating content on the go. However, I also like a 4.8 inch smartphone in my pocket for phone functions, and using as a WiFi hotspot for the tablet. I will get a phablet with a 5.5 inch screen (probably the Note 2) and test it. If it works for both functions, I might carry it alone sometimes. But, the whole idea is having a choice. I foresee a future in which we carry mobile computing devices the way we choose our daily wardrobe. Sometimes I wear jeans and a T-shirt. Sometimes I wear a suit and tie. Occasion appropriate computing. There's a concept I can wrap my brain around. Lawyer Specific Apps For Android? Who Needs 'Em? The Droid Lawyer%u2122 | What About the Lawyer Apps for Android?. This is a good post debunking the myth that lawyers should choose iPad or iPhone because of the developer community support for legal specific applications. My Android phone isn't intended to be a replacement for my Windows 7 notebook computer. I produce this blog on an ultralight notebook that serves as my main law practice computer. I produce legal documents, track case progress, view court dockets, and all sorts of legal specific tasks with legal specific software that gets the job done. It weighs under 5 pounds, and I carry it to court when I need to show documents or photos to a fact finder, be it Judge or Jury. I use it to show PowerPoint slides in presentations, and it functions better than any tablet or phone. My phone and tablets are "extensions" of my law practice, not "replacements". I use my phone and tablets to send and receive emails, texts, and to eat content on social media. I read daily newspapers, and other magazines and publications on them. The choice of Android or Apple products is as much a matter of taste as it is a matter of features. Lawyers who buy Apple just to go along with the crowd are ceding their own personal judgment to others. Be an independent thinker. Look at the features and uses of both platforms before making a choice. Pet Friendly: It%u2019s a Dog%u2019s Life at Some Solo Offices - Magazine - ABA Journal. I am pleased that the American Bar Association Journal is highlighting solos in this month's Journal. One of the pleasures of life is our interaction with our pets. It seems only human. Due to the time it takes for an article to get to print these days, I now have four parrots in the office. The new addition is a Scarlet Macaw named Savannah. 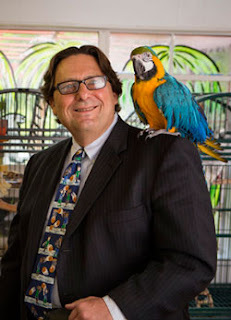 I have yet to have a client not be comfortable with my parrots, since they are in cages when clients are around. However, I can understand that some people can be uncomfortable with dogs or cats. Having the freedom to have what I want in my waiting room is just another reason I am a solo. Samsung Nexus 10 - Is PaPa Bear Too Big Now? Samsung Nexus 10 officially announced. Now that we are all comfortable with 5 inch phone screens, and the ease of using and carrying the Nexus 7 and other 7 inch tablets, will we ever buy another 10 inch tablet? Samsung has announced a 10 inch Nexus tablet with some great specs and Jelly Bean. But, even though I still have my Asus Transformer running Jelly Bean, I hardly ever take it anywhere. The Google Nexus 7 is a constant companion, and is so portable and usable that I don't use anything else. Am I the only one who won't be spending $400 on one of these? I love Baby Bear and Mama Bear. But, PaPa Bear is not just right. Swingline 250X Hands Free Shredder - Set It And Forget It! Swingline - Shredders - Hands Free Shredders - Swingline%u2122 Stack-and-Shred%u2122 250X Hands Free Shredder, Cross-Cut, 250 Sheets, 5-10 Users. Is there anything more mind-numbing than sitting or standing in front of a paper shredder feeding documents 1 to 10 at a time? You can't do something else because your hands aren't free. Shredders are a perfect example of one of the disadvantages of solo law practice. You can't delegate the shredding task to a minion, because you have no minions. Of course, wasting a secretary or legal assistant's time on shredding is just as unproductive in BigLaw. So, when I bought a Swingline HandsFree Shredder recently that took up to 80 pages at a time, it was solo heaven. For my practice, it was ideal. Then Swingline contacted me and asked me to review my shredder's big brother for a couple of weeks. It is a marvel. 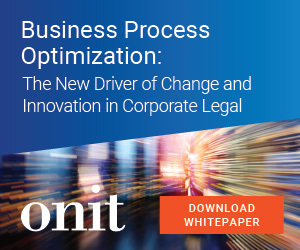 For the medium or large sized law firm it is a real money saver. Just pile the documents in the top bin, close the top, and go do whatever. It has automated the shredding process, and the big one has a PIN lock for the top that you can set to keep someone from coming along and pulling out documents before they are shredded. You can still feed documents and credit cards manually; but, I find myself just putting documents in the bin. Your law office should be shredding everything that doesn't go out in an envelope. Are you? As a side note, the Swingline rep told me I could donate the shredder to a cause or group of my choosing after I finished the review. I chose CASA, (Community Action Stops Abuse), a local domestic abuse shelter and organization that has been nationally recognized for its good work. Swingline is also donating a large amount of office supplies, for which it is famous. Thanks, Swingline. Futurelawyer - Who Moved My Feed? Futurelawyer. I have used FeedBlitz to service my email subscribers for years; however, I was using Feedburner for my RSS feed, and kept it after Google acquired FeedBurner. I still read a lot of my blogs with the Google Reader app, and find RSS a good way to keep up with a lot of my favorite reads. However, when Google starting removing support from FeedBurner, I, like many others, saw the handwriting on the wall. So, this link will take you to my new feed, at FeedBlitz. You can click it, and subscribe in your favorite RSS reader. If you prefer, you can still get it in your morning email. But, if you want to read the feed, this is where it's at. Happy reading.